Discussion in 'MacRumors.com News Discussion' started by MacRumors, Feb 13, 2012.
iMore reports that Apple is planning to hold their iPad 3 announcement on Wednesday, March 7, 2012. Aside from the date of the announcement, iMore also claims that the iPad 3 will feature a 2048x1536 Retina display as well as a quad-core A6 processor and "possibly" 4G LTE networking. They cite sources "who have been reliable in the past". 4G LTE networking has been another mystery surrounding the iPad 3, with a compatible Qualcomm chipset becoming available, but international LTE coverage is still slim, and in some cases a year or more away. It sounds like Apple has 4G LTE lined up for iPhone 5 this October, but we're still not certain if the iPad 3 will get it earlier. iMore (then called Tipb) had previously pinpointed the pre-order date for the iPhone 4S. 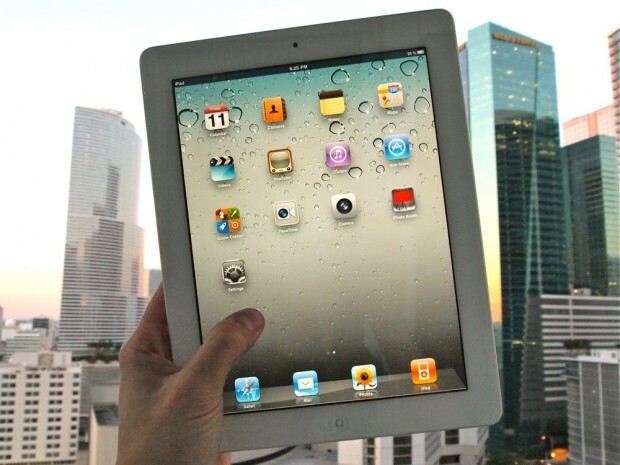 LTE has been rumored to be included in the iPad 3 in the past. As iMore notes, LTE's rollout has been slow, but many carriers are aggressively rolling out coverage and LTE requirements in 2012. Apple has also been testing LTE in iOS 5 and hiring LTE engineers. Update: Jim Dalrymple of LoopInsight confirms the date with a simple "Yep". Dalrymple is known to have sources inside Apple. I said I wouldn't upgrade my iPad 1 to the iPad 3, but a retina display would be a good addition. As a photographer, I've been waiting for a Retina Display iPad to come to market. With a Quad Core processor and possibly 128GB of storage, it becomes a viable photo processing tool. Now let's see Aperture (or a companion app) released for iOS. iMore (TiPB) are pretty reliable. EDIT: it seems basic math is beyond the reach of some... This is in the sense that I don't have any iPad yet. So invites on the 29th of Feb. I wasn't thinking of upgrading but.....LTE would be a sweet reason to change my mind. According to various reports the difference in speed between 4G/LTE and 3G is supposed to be significant - though I'd like to see some actual metrics on that. Or user experience. Or both. Probably pass, save up for getting the iPhone 5/6 off contract. Take one of my limbs! While this is cool stuff, no way will I upgrade from my iPad2. To me, the screen is fantastic as is, at least for my purposes. Quad core IS very nice, and I'm sure lots of apps will utilize this, but I don't use my iPad expecting the fastest of speeds. Again, for what I've done, the iPad2 is amazing as is. If you have an iPad 1, I can see upgrading since you gain A LOT. But from an iPad 2, I'm just not seeing it. Then again, I'm not rich. And I engraved mine so resale isn't there, but I knew that when I chose to do it. Whoever gets it will love it, I'm sure. PS: Funny though, the 7th is the day I can upgrade my phone, which I am. Bye bye LG Xenon, hello iPhone 4S! iPad 0? As in zero? What's that? "...it's a flat rock, and a piece of chalk I carry around with me". iPad Wifi + iPhone VS iPad 3G/LTE? I've never even considered getting an iPad with 3G because the iPhone creates a personal hotspot. I already have an excellent data plan on my iPhone. If I had a 3G iPad, I'd have to get yet another separate plan. I never use up my iPhone's data plan so it's better to share data with both iPad and iPhone. Has anybody with an iPhone (or another personal hotspot enabled phone) purchased a 3G iPad? Why? What are the advantages? If you only had one limb, you wouldn't be able to operate an ipad properly. You lose both ways. I'll be honest, I plan on getting the WiFi only iPad 3. WiFi is readily available in most places I go (yes, even in North Dakota), and if I'm really in a pinch for internet, I've got my iPhone. When will we be seeing MacBooks with retina display? My eyes feel weird looking at my phone for a few minutes, then switching to the macbook. I worry that buying the iPad 3 will ruin the macbook experience due to difference in screen quality. Anybody thinking in these terms? I'm due to update my macbook, but I'm thinking about waiting now. i didnt buy into all the LTE hype and thought my 3G was plenty good enough but after getting a LTE phone i can easily say now that the speed difference is HUGE and i would switch or upgrade etc... just for LTE if i were using an iPad. There's only two minor advantages, as far as I can see: not draining the battery life of the phone while using the iPad and slightly less hassle to get connected to the internet (you can just turn the iPad on versus having to put the phone in tethering mode first). I'm with you on this one, though. I'll be buying my first iPad when the iPad 3 goes on sale and will be getting a WiFi only model since I can just tether it through my phone.